Lorde has certainly been stepping it up on her "Melodrama World Tour," but a social media flub has dampened the buzz around the New Zealand singer. Enjoying a well-deserved day off yesterday (April 5), Lorde posted a photo of a luxurious looking bath — but her choice of caption left plenty of followers offended. She paired the photo with Whitney Houston's iconic refrain of "I will always love you," drawing criticism from fans for being an insensitive jab at Houston, who was found dead in a bathtub at age 48 back in 2012. 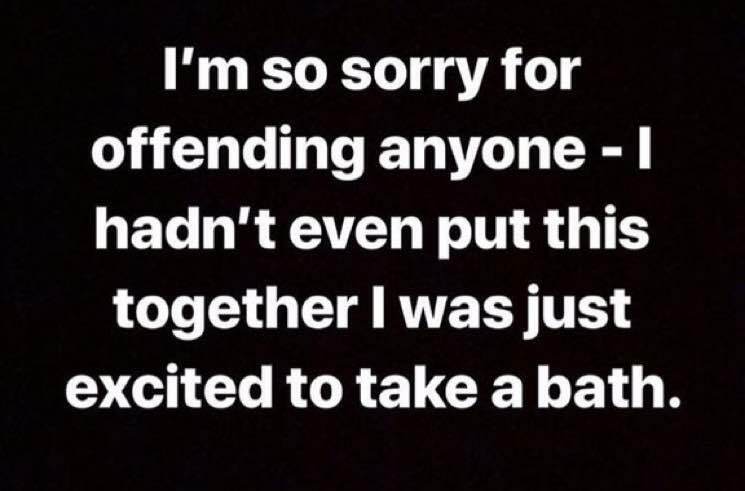 Lorde has since apologized via her Instagram story. "Extremely extremely poorly chosen quote," she wrote. "I'm so sorry for offending anyone — I hadn't even put this together I was just excited to take a bath. I'm an idiot. Love Whitney forever and ever. Sorry again." The original photo of the bathtub is no longer available, but you can see a screenshot alongside the apology below.